Just before February came to an end, the FCC voted along party lines and by a 3 to 2 vote, passed its rules on net neutrality. Today, the FCC unveiled a 400-page document that fills out the details of how the agency plans on keeping all internet traffic equal. But don't expect the FCC to jump into the fray immediately. 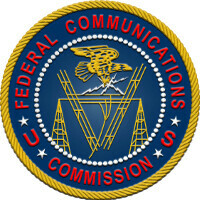 "We find that the best approach is to watch, learn, and act as required, but not intervene now, especially not with prescriptive rules," the FCC wrote in the document. For example, the FCC said that it still is figuring out how to handle situations where a deep-pocketed company pays for the data used to have its services and apps sent out free to mobile users. Those opposed to such a plan say that this would favor companies that have the money and wherewithal to pay for all of that data. The agency says that it will look at these deals on a case-by-case basis. It will also look case-by-case on limits and caps on data use. The 400-page document gives the legal reasoning behind the rules and answers criticism of them. It also provides a forum where the dissenting opinions of the two Republicans on the commission can be read. The rules that passed make internet providers "common carriers" like gas and electricity utilities. Had the rules not passed, carriers like Verizon and Comcast could have charged content providers for access to their subscribers. Eventually, this could have resulted in higher prices charged to download and install apps on your mobile device. All the big players are going to try to make you pay more regardless of what the FCC says or does. At least give the little guy a chance to compete. This is just an excuse of the government to get its tentacles to control the Internet through violation of private property. The result will be not only the degradation of the Internet in terms of performance but also of freedom, since the FCC also controls the content of what it has under control. I expect this to be successfully challenged in courts, since the FCC has no authority over the Internet whatsoever. If ANY of you guys would actually read the law and not listen to those protesters. You guys would know the law is a benefit for us normal internet user. Read the stuff before jumping to confusion guys. This is why we have half the protesters out there protesting and nothing know what the goal is.